This is a sponsored conversation written by me on behalf of Atkins. The opinions and text are all mine. The “Atkins: Eat Right, Not Less” book is an excellent lifestyle book for following a low carb lifestyle. It includes 100 easy, low sugar recipes and tips for managing weight and improving health. A few days before Christmas, I published my initial thoughts on the new Atkins book. Since then, I’ve had more time to dig into the book and try out a few recipes. 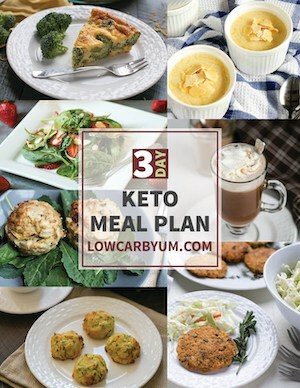 I tried a couple of the 15-minute and one-pot meals as well as the low carb Chocolate Chip Cookies. 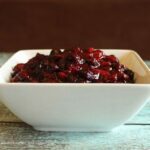 Each recipe was easy to prepare using basic ingredients from my local supermarket. 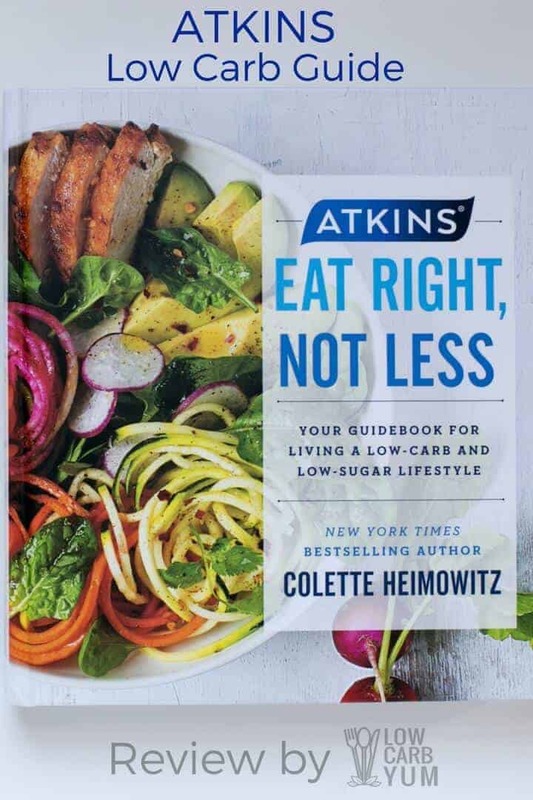 Although I received a complimentary copy of “Atkins: Eat Right, Not Less” to review, I also bought a copy to give as a gift. The book is a great starting point for anyone interested in moving to a low carb lifestyle. 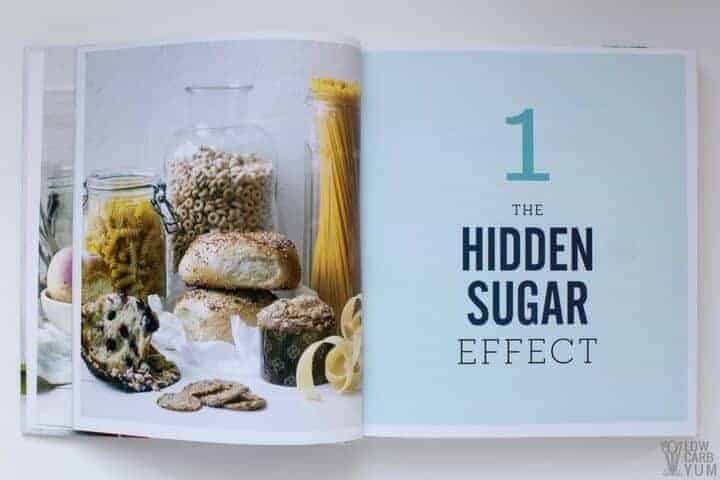 The book starts out by describing the “hidden sugar effect” – foods that you think are healthy that actually turn into sugar when digested. You don’t see the sugars, but your body does. 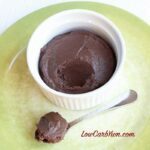 And then, there’s a great overview of how Atkins works and tips for low carb living. Some of the tips include kitchen preparation, how to read food labels, shopping strategies and making time for exercise. And, there’s recommendations for snacking, staying on track during holidays and eating out. The Atkins low carb lifestyle provides a lot of flexibility. You can go with the classic Atkins 20 where net carbs stay around 20 grams a day. 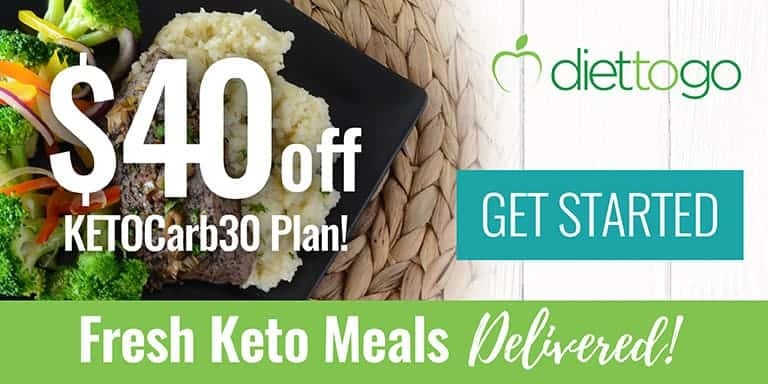 Or, ease into low carb on an Atkins 40 or Atkins 100 plan where the daily net carbs consumed are higher. 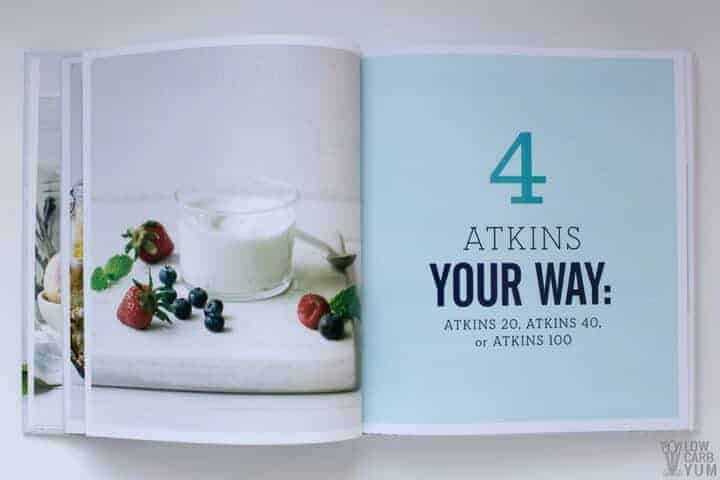 There’s a wide variety of simple recipes to fit each of the Atkins plans. 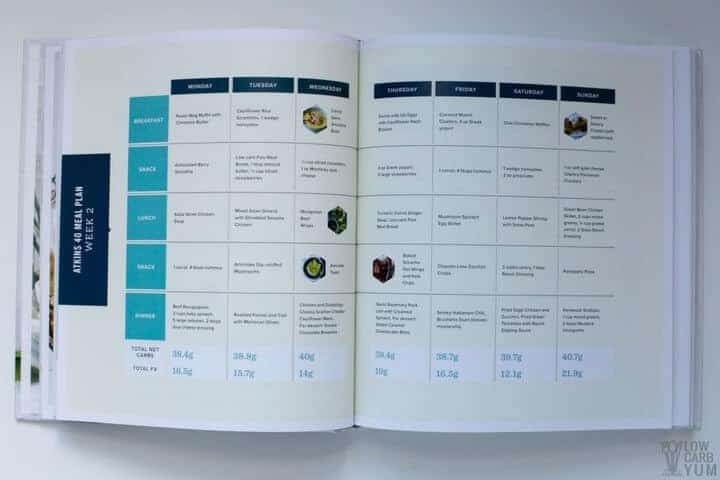 And a two week meal plan is provided for each Atkins option to make getting started as easy as possible. My favorite part of the book is the recipes. 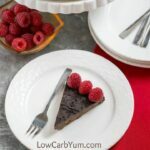 The majority of them are savory, but a few low carb dessert treats are available at the end to satisfy your sweet tooth. 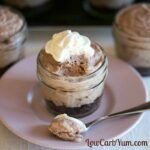 You can find some sample recipes on the book website. Once a person reduces their “hidden sugar” food consumption, the taste for sweets generally subsides. There’s really no need for eating desserts, but it’s nice to indulge in them once in a while. I’ve been following an Atkins low carb lifestyle since 2010. However, I have been very cautious about consuming carbs since about 2001. I started on an Atkins 20 plan but these days, my eating plan is more in line with Atkins 40. With Atkins, there’s an emphasis on incorporating vegetables into each meal. In fact, the majority of daily net carbs should come from foundation vegetables. My favorite vegetables are cauliflower, cabbage, radish, and spinach. But, there’s a ton of other low carb vegetables to choose from. A lot of people refer to Atkins as a diet. However, it’s not something you follow for a short period of time. To have long term success and better health, it’s necessary to follow a low carb lifestyle for life. That’s why Atkins is really a lifestyle and not a diet. It’s not a quick fix to lose weight. But, losing weight is one of the benefits of low carb eating. And, once you’ve been following the lifestyle for a while, you’ll learn that it’s not as restrictive as it first seems. There’s a lot of whole food options that fit into the plan. 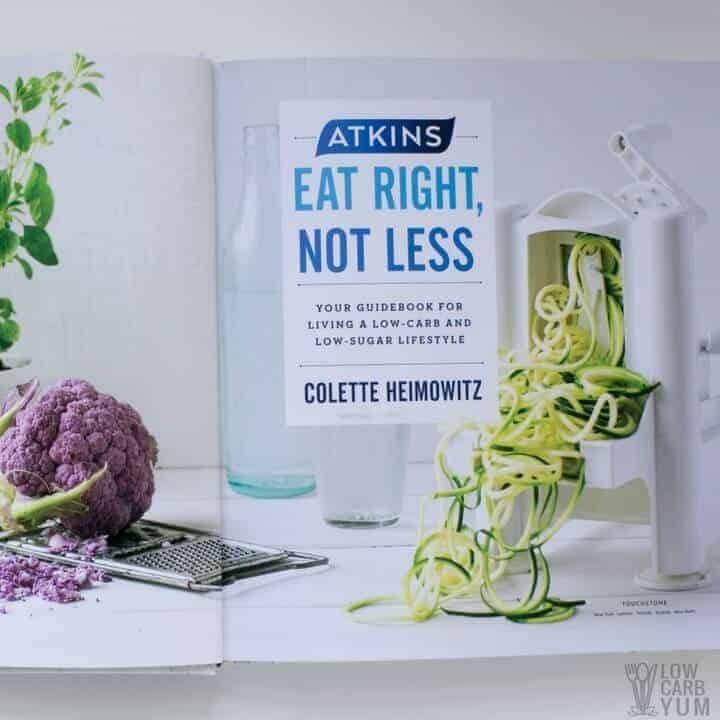 If you’re ready to make the move to a low carb lifestyle, I highly recommend “Atkins: Eat Right, Not Less.” The book provides a great foundation for getting started on a healthier way of eating. 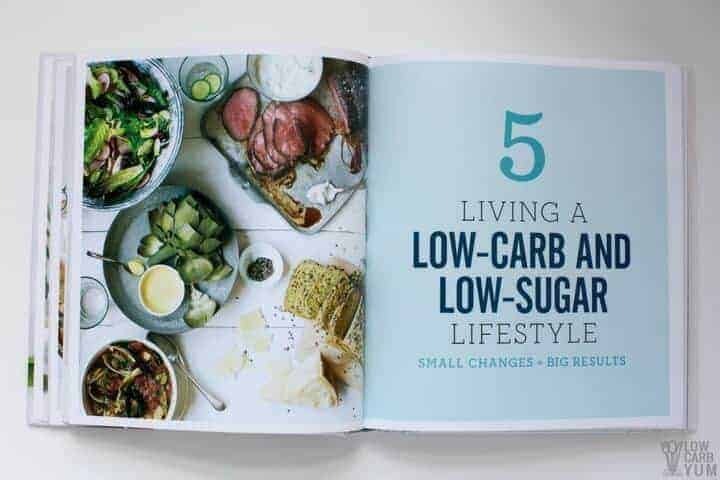 I love this low carb lifestyle book so much, I’ve teamed up with Atkins to offer a free book giveaway to one special fan who follows Atkins. Simply follow Atkins on social and tell them who sent you! If you’re feeling inspired, I welcome you to share a photo of your favorite low carb recipe on Instagram by tagging the brand @AtkinsNutritionals.